Being charged with driving under the influence (DUI) or driving while impaired (DWI) can be a sinking feeling. Many people don’t even consult with an attorney about their DUI case because they feel like nothing they do will matter anyway; they believe that the deck is already stacked against them and that the result of their case is a foregone conclusion.In fact, a DUI/DWI charge is just like any other charge in our legal system — you begin with the presumption of innocence, and it’s up to the prosecutor to produce evidence and prove the charge beyond a reasonable doubt. And just like in any other case, an experienced attorney is your most important advocate and ally when it comes to navigating the legal process and evaluating your best course of action. One reason that many people don’t consider hiring a lawyer for their DUI/DWI case is that they believe the court hands down a “standard” sentence for each DUI case (especially in the instance of a first offense). In reality, though, the judge in your case will base their sentencing decisions on the individual circumstances of your case, including their assessment of whether you display ownership of and remorse for your actions and how likely you are to repeat the same behaviors in the future. As the result of a new Maryland law, known as “Noah’s Law,” that took effect on October 1, 2016, most drivers who are convicted of a drunk driving offense must agree to use an ignition interlock device if they wish to drive a vehicle. According to Mothers Against Drunk Driving (MADD), the new law is the toughest ignition interlock statute in the United States. First-time offenders who are convicted of these offenses must participate in the ignition interlock program for six months (one year for drivers who refuse a chemical test and are later convicted of DUI/DWI). This six-month penalty increases to one year for a second offense and to three years for third and subsequent offices. Although a first-time offender might expect to receive the minimum penalties for a DUI, that’s not always the case. Certain circumstances may allow the court to assess harsher fines or even jail time in your case, even if you’re a first-time offender. In particular, a conviction for DUI/DWI while transporting a minor carries significantly increased penalties compared to an offense where a minor wasn’t involved. That’s not to mention the long-term negative results on your reputation and employment prospects, since a DUI/DWI conviction will show up on your permanent record whenever you have to undergo a personal background check. As you can see, the stakes in a DUI case — even for a first-time offense — are quite high. This is not the type of case where you should feel comfortable exposing yourself to the potential pitfalls that come with acting as your own legal representation. Another reason that many people who are facing a DUI charge don’t consult with an attorney is that they don’t realize just how many factors can influence the outcome of a DUI/DWI case — or how a lawyer with experience handling similar cases can have a positive impact on those factors. Explain the charges against you and their consequences. We will explain the scope of the charges against you and the possible outcomes of your case so that you can evaluate your options with a realistic sense of the consequences. Begin creating a record of your efforts to battle the underlying issue. In our experience, most clients who are charged with a criminal or traffic offense like a DUI are sorry for their actions and want to make things right. We can help by suggesting proactive steps you can take, like performing community service or undergoing substance abuse treatment. This can help demonstrate to the judge in your case that you’re sincere about addressing the underlying issues and behaviors that led to your incident, rather than being in denial. Investigate and analyze your case. Our attorneys know how to find and gather all of the relevant evidence and documentation — police reports, eyewitness accounts, etc. — and then use it to make an informed evaluation of your situation. If the police or prosecution didn’t conduct themselves properly in your case, or if there were other mitigating factors that haven’t yet come to light, your attorney will have a much greater chance of spotting these critical pieces of information than you would have on your own. Prepare you for a trial, if necessary. After thoroughly investigating your situation, your lawyer will advise you about your best course of action. If we believe the judge in your case won’t be sympathetic, we may need to ask for a jury trial. If this happens, we’ll begin preparing for trial, which can include gathering evidence and important witnesses as well as briefing you on what to expect. Defend you at trial and advocate for you during sentencing. Trials are often complex, but your attorney understands the procedures involved, and they will use their training and experience to advocate for you and establish important evidence. Even if you decide to plead guilty or you’re found guilty at trial, your lawyer can still act as a powerful advocate for you during and sentencing, and they may be able to influence the judge’s decision by constructing an argument on your behalf. For example, they may highlight evidence of your character and your sincere efforts to change the behavior patterns that led to your incident. Pursue post-trial motions on your behalf. If your attorney believes a post-trial motion would be in your best interests, they can guide you through this process and file the relevant paperwork. Remember, being charged with a DUI isn’t the end — it’s the beginning of a complicated legal process, and the way you decide to handle it could impact your life for years to come. Your outcome is anything but a foregone conclusion, so take charge of your situation now by calling the Pinder Plotkin Legal Team right away and scheduling a free initial consultation to discuss your case. 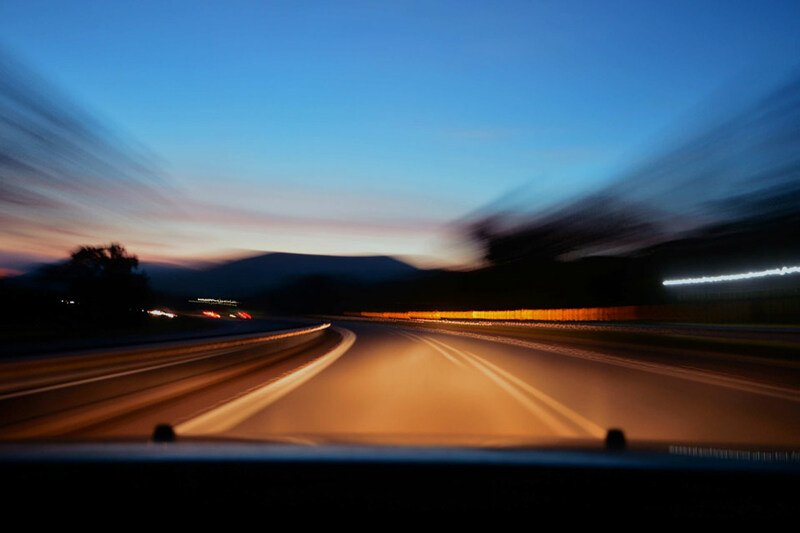 If you’re facing a driving under the influence (DUI) or driving while impaired (DWI) charge in Maryland, you should contact the Parkville or Bel Air offices of the Pinder Plotkin Legal Team today. Our attorneys have years of experience representing clients in DUI/DWI cases and other criminal proceedings, and we always offer free initial consultations for criminal/traffic cases, so there’s no risk to speaking with us and receiving an honest and informed evaluation of your case. Call us at (410) 661-9440 or fill out our convenient online contact form to schedule your free consultation today.